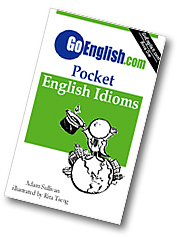 Today's Idiom = "In The Money"
You are in the money when something happens that gives you a lot of money. Example: "Now he's a professional basketball player." Reply: "He's in the money."